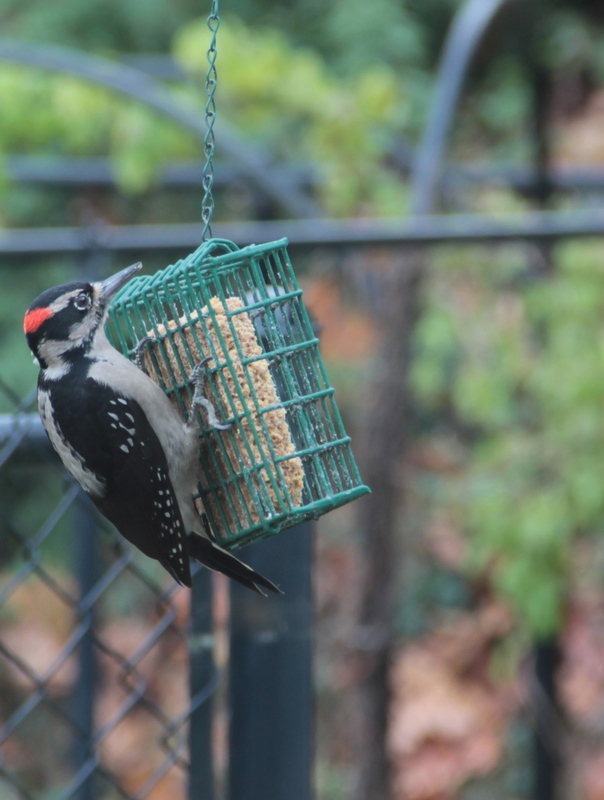 As I’ve spent a rainy afternoon blasting tunes and baking pies for holiday festivities, this little fella, a hairy woodpecker, has been regularly returning to eat the suet just outside my kitchen window. I’ve caught glimpses of rainbows today when the sun has peeked through. Yesterday afternoon’s rays of sun on Mt. Baker lit up the sky. One of the highlights of my day was chatting on the phone with my daughter. While catching up with her and gazing out the window, I gasped and said something like, “It’s back! 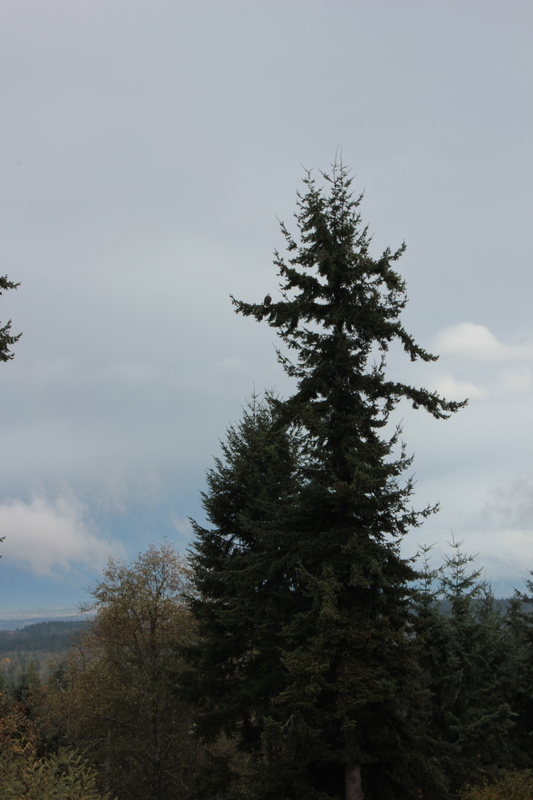 The bald eagle is back in my tree!” His perch in a douglas fir a couple hundred yards away means my zoomed and cropped photos are blurry. Yet how could I not be overwhelmed by all this majestic beauty. 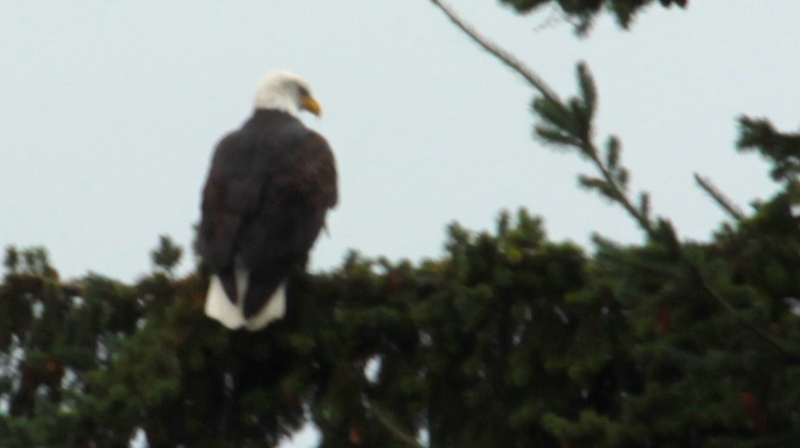 This entry was tagged bald eagle, birding, gardening, hairy woodpecker, Mt. 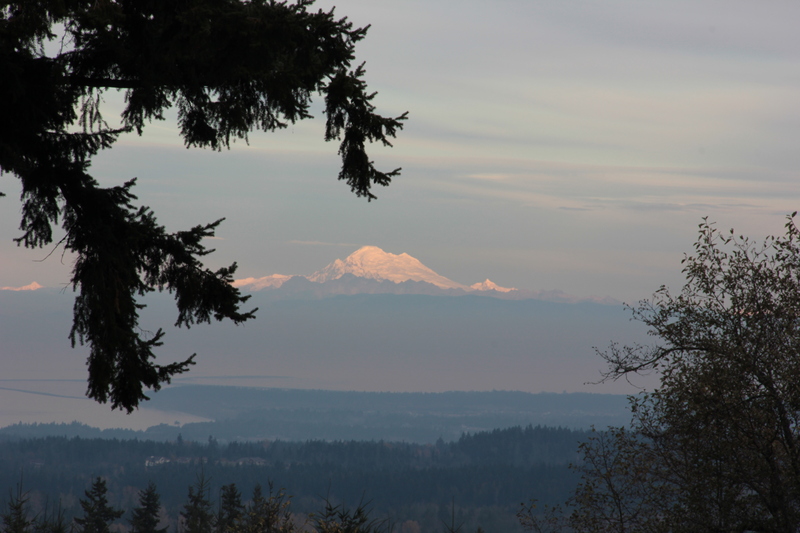 Baker, Olympic Peninsula, Washington State. Bookmark the permalink. 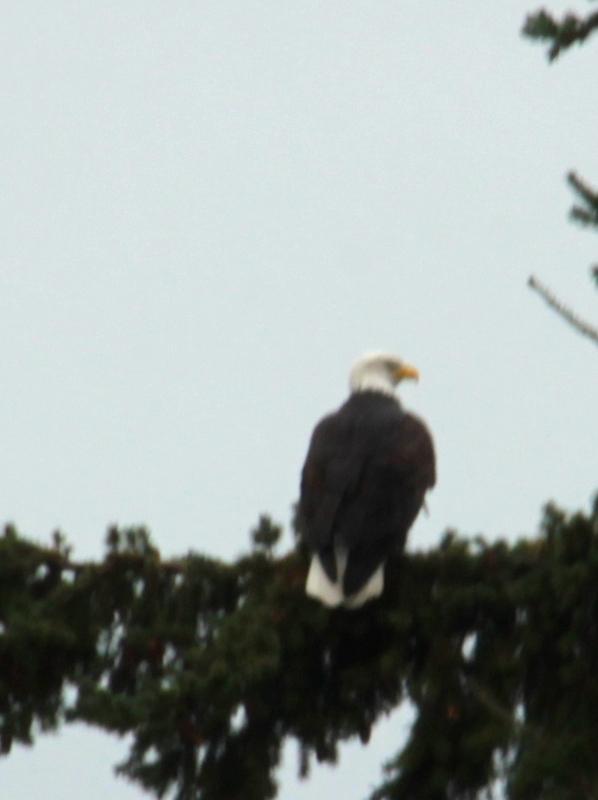 Wow, the bald eagle is surely a majestic sight!